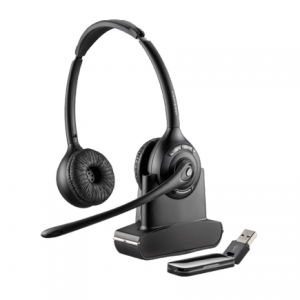 For PC-based office and remote workers, the Savi 400 Series offers excellent audio quality, up to 300 feet of wireless range. • Whether you are in the office or remote, enjoy excellent audio quality, the ability to roam up to 300 feet from your PC, and a high-quality carrying case for increased portability. One-touch call answer/end, vol+/-, mute and flash for simple call management. 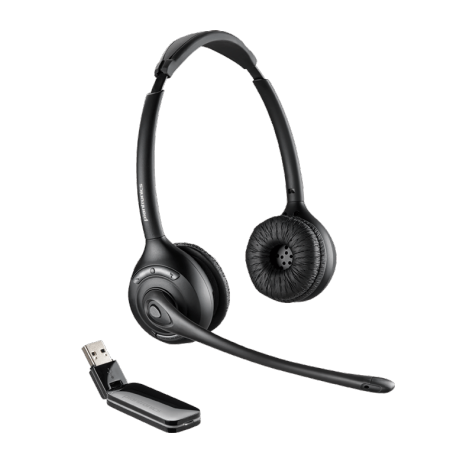 • Enjoy DECT technology that provides best-in-class audio while eliminating interference from Wi-Fi networks. Advanced wideband audio using CAT-iq technology provides high definition voice quality while a noise-canceling microphone reduces background noise interruptions, ensuring great audio quality and easing listener fatigue. • Advanced Dect wireless security. Using the latest standards in DECT wireless security, CS500 series headsets keep conversations safe and secure. With eight discreet security measures, including a 64-bit encryption, confidential information remains private. • Wireless frequency: DECT 6.0, range up to 300 ft.